Your garage door opener controls what is probably the largest moving object in your house. 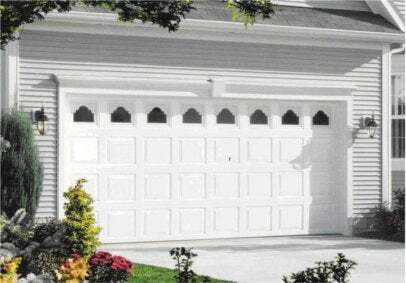 But it’s not actually the motor that hefts the weight of your garage door–it’s the springs or counterbalances. The motor only controls the lifting and doesn’t have to be that powerful for most doors. Because they’re potentially dangerous, these springs are off-limits to do-it-yourselfers. Your owner’s manual, which you should consult before working on any part of your system, will tell you which parts you can replace and recommend which type of lubricant to spray onto the springs and bearings to help them last longer. Most recommend spray silicone or a light lubricating oil. New garage door openers offer a lot of great bells and whistles such as automatic or motion sensor lights, remote lockout for security when you’re on vacation or a fingerprint sensor keypad for those who forget combinations. There are even systems that operate with a battery backup during a power outage or open automatically if they sense too much carbon monoxide in the garage.